The dynamic author Carmilla Voiez (does she ever sleep?) has organised a great event, starting this Friday, 9th January. Indie Authors Appreciation Week brings together 60 authors on Facebook to meet new readers and old friends. During the week-long event, each author has a one-hour timed slot to present their books, provide excerpts and run competitions. I’ll be on from 7-8 pm (GMT), which is 8-9 pm CET on Friday. 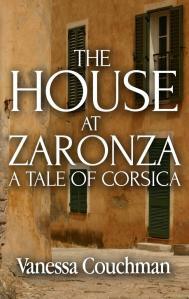 You can hear more about The House at Zaronza and the inspiration behind it, I’ll be publishing an excerpt or two from that and another work and, best of all, there’s a chance to win a signed paperback copy of the book. Felix the cat will be doing the honours to help me choose the lucky winner, as he did during my launch party back in July. Here he is psyching himself up. And there’s also a grand prize draw to win a $50 (or equivalent currency) Amazon voucher. You just have to buy one (or several) of the books listed. Every book you buy gives you one chance to enter the draw. To find out more about the event and how to enter the prize draw, just click here. This entry was posted in Fiction, Historical Fiction and tagged Carmilla Voiez, Corsica, historical novel, Indie authors, Indie Authors Appreciation Week, The House at Zaronza, Vanessa Couchman, World War I, writers by nessafrance. Bookmark the permalink.